You will probably like this game if you like puzzles and zTappy. In Same you have a game board full of different types of pieces which you have to remove. 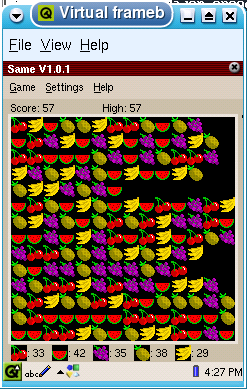 This is done by removing similar blocks by clicking on them. The more blocks are removed the higher is the score. 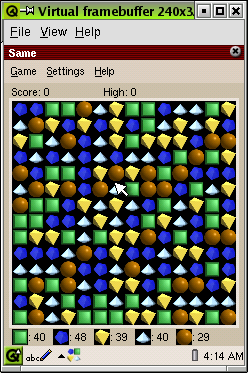 The main goal is to free the game board of all pieces and to get a highscore. Same is a nice game which one can play without really thinking. Although lacking a few more challenging levels the game is well thought through and runs without complications. With the highscore values this game will certainly catch your attention for several hours. With nice graphics it is easy to view and play. Give it a try.